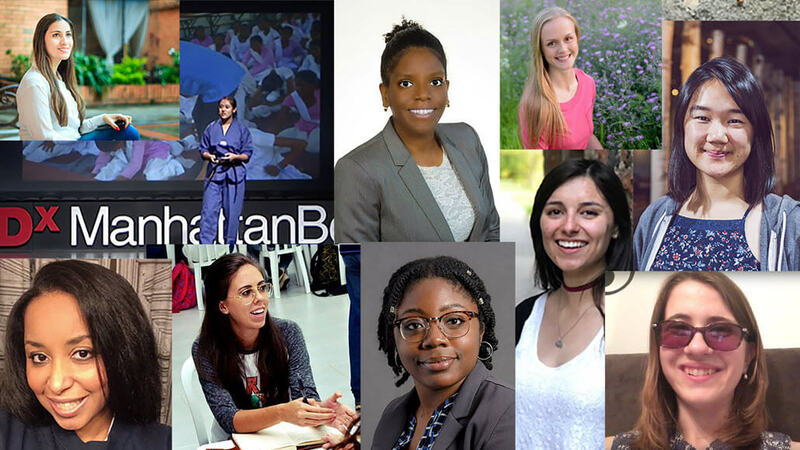 The Windows Insider Program is thrilled to send ten women to the Grace Hopper Celebration, the largest gathering of women technologists in the world. Ten extraordinary women were named winners of our Women in Computing Award and will also travel to Microsoft’s headquarters for mentoring. We asked them to share their goals and a few words of wisdom for women and girls interested in STEM. As majors in computer science and related fields, the winners all have big plans for the future — for their careers and for transforming the technology industry. Chineye Emeghara wants to take special effects in the motion picture industry to the next level. Daniela Alves Ridel is working with AI to improve pedestrian and autonomous vehicle safety. And Veronica Lewis sees a huge potential for making technology more accessible for people of all abilities. The winners described an intense fascination with programming and problem solving. Whether they had a mind-blowing experience at an early age or whether they stumbled onto coding later in college, all of the women geeked out when it came to discuss their love of computer science. “Coding is like a superpower,” Mónica Ceisel mused. Pooja Nagpal sees technology as an equalizing force with the power to tackle poverty. Rebecca Houston said, “My dream job would be working with individuals who have a traumatic brain injury or a neurodegenerative disease.” She hopes to create affordable technologies that help people with ALS better access tools that can help them communicate. The winners all recounted confronting adversity — including being told that they should give up on their dreams, being a first generation college student, and extremely challenging coursework. Editor’s Note: The Windows Insider Program would like to thank the hundreds of extraordinary women who applied for this year’s Women in Computing Award. We were thoroughly impressed by the caliber of the applicants and are grateful for their participation.